Community pharmacies across Australia are now able to provide vaccinations, making it quick and easy for anyone to protect themselves from a range of diseases. While pharmacies across all States & Territories can vaccinate against the flu, some States and Territories now allow pharmacies to vaccinate against other diseases like measles and whooping cough. The availability of pharmacist-delivered vaccinations is of particular benefit for patients, especially in rural and remote areas where at times there is no GP and the pharmacy is the only health service. When it comes to the flu though, getting vaccinated every year helps to protect you against catching this year’s flu strain. 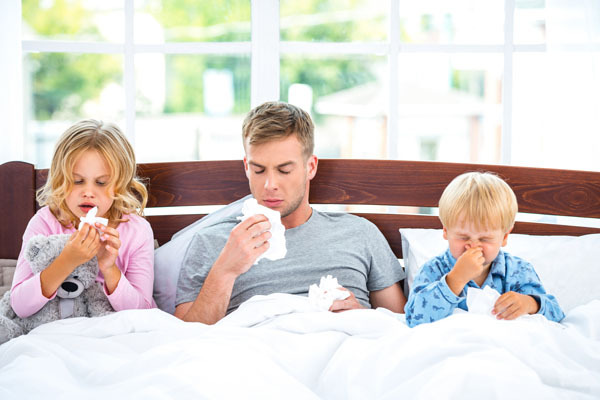 The flu is a highly contagious viral infection and, unlike the common cold, can cause life-threatening illness and dangerous complications such as pneumonia and bronchitis. Getting your flu shot at your community pharmacy makes good sense and you can be confident as pharmacists need to undergo special training before they are allowed to administer the flu shots. The program has been in effect for only a couple of years but already the ease of access to vaccinations through pharmacies has proved to be very popular. Many people have said they had a vaccination for the first time simply because it was available at their pharmacy. Check with you community pharmacy about the vaccination services it provides.